Diabetes. Diabetes is associated with sleep apnea and snoring. It is not clear if there is an independent relationship between the two conditions or whether obesity is the only common factor. Gastroesophageal Reflux Disease (GERD). GERD is a condition caused by acid backing up into the esophagus. It is a common cause of heartburn. GERD and sleep apnea often coincide. Research suggests that the backup of stomach acid in GERD may produce spasms in the vocal cords (larynx), thereby blocking the flow of air to the lungs and causing apnea. Apnea itself may also cause pressure changes that trigger GERD. Obesity is common in both conditions, and more research is needed to clarify the association. Polycystic Ovary Syndrome (PCOS). Obstructive sleep apnea and excessive daytime sleepiness appear to be associated with polycystic ovary syndrome (PCOS), a female endocrine disorder. About half of patients with PCOS also have diabetes. Obesity and diabetes are associated with both sleep apnea and PCOS and may be the common factors. Sleep apnea can lead to a number of complications, ranging from daytime sleepiness to possible increased risk of death. Sleep apnea has a strong association with several diseases, particularly those related to the heart and circulation. Daytime sleepiness is the most noticeable, and one of the most serious, complications of sleep apnea. It interferes with mental alertness and quality of life. Daytime sleepiness can also increase the risk for accident-related injuries. Several studies have suggested that people with sleep apnea have two to three times as many car accidents, and five to seven times the risk for multiple accidents. Undertreated sleep apnea is a major risk factor for injury at factory and construction work sites. Sleep-disordered breathing is very common among patients with heart problems such as high blood pressure, heart failure, stroke, heart attack, and atrial fibrillation. This link may be because both cardiovascular conditions and sleep apnea share a common risk factor of obesity. However, increasing evidence suggests that severe OSA is an independent risk factor that may cause or worsen a number of heart-related conditions. High Blood Pressure. Moderate-to-severe sleep apnea definitely increases the risk for high blood pressure (hypertension) even when obesity is not a factor. Doctors are not certain whether treating OSA with CPAP reduces the risk for high blood pressure, but studies indicate that CPAP may help prevent or decrease high blood pressure. Coronary Artery Disease and Heart Attack. Sleep apnea appears to be associated with heart disease regardless of the presence of high blood pressure or other heart risk factors. Studies suggest that patients with moderate-to-severe obstructive sleep apnea have a higher risk for heart attack. Stroke. Sleep apnea may increase the risk of death in patients who have previously had a stroke. Heart Failure. Up to a third of patients with heart failure also have sleep apnea. Central sleep apnea often results from heart failure. Obstructive sleep apnea can cause heart damage that worsens heart failure and increases the risk for death. Atrial Fibrillation. Sleep apnea may be a cause of atrial fibrillation (irregular heartbeat). Sleep apnea is associated with a higher incidence of many medical conditions, besides heart and circulation. The links between apneas and these conditions are unclear. Diabetes. Severe obstructive sleep apnea is associated with type 2 diabetes. Obesity. When it comes to sleep apnea and obesity, it is not always clear which condition is responsible for the other. For example, obesity is often a risk factor and possibly a cause of sleep apnea, but it is also likely that sleep apnea increases the risk for weight gain. Pulmonary hypertension (high pressure in the arteries of the lungs). Asthma. Sleep apnea may worsen asthma symptoms and interfere with the effectiveness of asthma medications. Treating the apnea may help asthma control. Seizures, epilepsy, and other nerve disorders. There may be an association between seizures and obstructive sleep apnea, especially in older adults. Some studies have shown treatment of obstructive sleep apnea may help in the control of refractory seizures. Headaches. 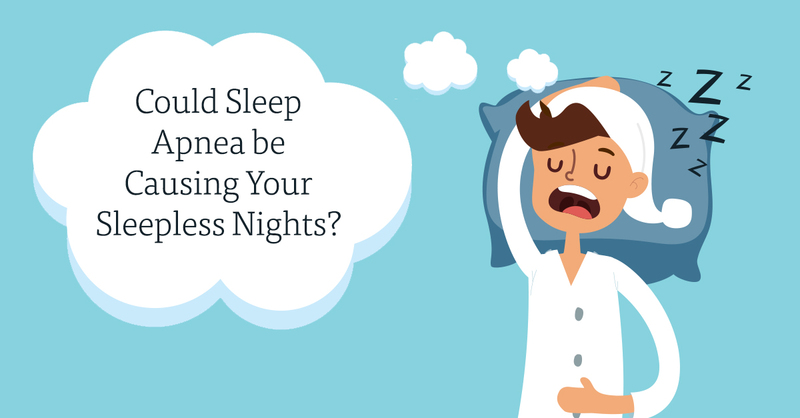 Sleep disorders, including apnea, may be the underlying causes of some chronic headaches. In some patients with both chronic headaches and apnea, treating the sleep disorder may cure the headache. High-risk pregnancies. Sleep apnea may increase the risk of pregnancy complications, including gestational diabetes and high blood pressure. Eye disorders, including glaucoma, floppy eyelid syndrome, optic neuropathy conjunctivitis, dry eye, and various other infections and irritations. Some of these latter symptoms may be associated with CPAP treatments for sleep apnea. Studies report an association between severe apnea and psychological problems. The risk for depression rises with increasing severity of sleep apnea. Sleep-related breathing disorders can also worsen nightmares and post-traumatic stress disorder. Because sleep apnea so often includes noisy snoring, the condition can adversely affect the sleep quality of the bed partner. Spouses or partners may also suffer from sleeplessness and fatigue. In some cases, the snoring can disrupt relationships. Diagnosis and treatment of sleep apnea in the patient can help eliminate these problems. Failure to Thrive. Small children with undiagnosed sleep apnea may "fail to thrive," that is, they do not gain weight or grow at a normal rate and they have low levels of growth hormone. In severe cases, this may affect the heart and central nervous system. Attention Deficits and Hyperactivity. Problems in attention and hyperactivity are common in children with sleep apnea. There is some evidence that such children may be misdiagnosed with attention-deficit hyperactivity disorder. Even children who snore and do not have sleep apnea may be at higher risk for poor concentration. People with sleep apnea usually do not remember waking during the night. Excessive daytime sleepiness. Generally, patients risk falling asleep during the day while performing routine activities such as reading, watching TV, sitting inactively, lying down, or riding in a car while a passenger or stopped for a few minutes in traffic. Usually, these brief episodes of sleep do not relieve their overall sense of sleepiness. Irritability and impaired mental or emotional functioning. These types of symptoms are directly related to interrupted sleep. Snoring. Bed partners may report very loud and interrupted snoring. Patients experience snoring associated with choking or gasps. This often occurs in a crescendo pattern with the loudest noises occurring at the very end. Snoring is more likely to occur when lying on the back. Patients often suffer from frequent arousals during sleep because of snoring. Longer total sleep time than normal in some children, especially obese children or those with severe apnea. More effort in breathing (flaring nostrils, heaving chests, sweating). The chest may have an inward motion during sleep. 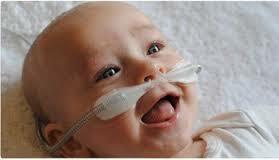 Behavioral difficulties without any obvious cause, such as hyperactivity and inattention. Other medical illnesses that may be worsened by obstructive sleep apnea are present. If symptoms suggest obstructive sleep apnea or other sleep disorders, further diagnostic testing will be performed. A sleep specialist or sleep disorders center will perform an in-depth medical and sleep history and physical exam. Centers should be accredited by the American Academy of Sleep Medicine. March is Oral Health month in the Philippines, So let's join in to Protect Our Oral Health! mouth and a happy smile. 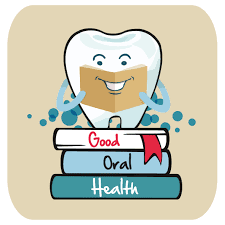 Now that you’ve made the commitment to good oral health, it’s important for you to protect it. Without careful, ongoing monitoring and treatment, periodontal disease can recur. Left untreated, periodontal disease can lead to bone and tooth loss. With help from periodontists, dentists who specialize in the prevention, diagnosis and treatment of periodontal disease, you have an excellent chance of keeping your teeth for a lifetime! How do I protect my oral health? 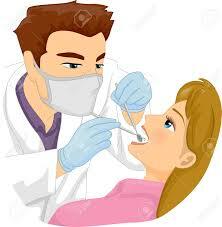 dental cleanings from your general dentist, which also help to protect the health of your teeth. additional treatment may be recommended. How will I benefit from periodontal maintenance? diagnosis and prompt treatment. Periodontal maintenance is a way for you to protect your oral health by helping to prevent or minimize the recurrence and progression of periodontal disease. If the disease returns, careful monitoring increases the likelihood of locating and treating it in a timely manner before tooth-threatening bone loss becomes uncontrollable. commitment to oral maintenance is a commitment to better health! How often do I need periodontal maintenance? At each periodontal maintenance visit, your periodontist will monitor your disease progression and treatment effectiveness, and may increase or decrease the frequency of your visits accordingly. Studies continue to link your mouth to your health! Each week as I go through the articles and recent research looking for interesting things to share with my blog followers, it is astounding how many studies are correlating disease in the mouth to some health condition. This is a huge warning that your health is tied to the choices you make related to caring for not only your body but your mouth. After all, the mouth is the first place that food enters the body and in many cases it is the first place that bacteria enter the body. In an unhealthy mouth, red swollen bleedy gums give bacteria access to your blood stream and thereby they have access to your entire body! Many studies have shown that when a mouth is healthy or when an unhealthy mouth is treated hospitalization rates are reduced and medical expenditures go down. In all of my years in the dental field the number one excuse for not doing dental treatment has been lack of insurance and the cost of dental treatment, not fear! But it is FEAR of NOT doing treatment that should motivate people to seek treatment for their dental disease! 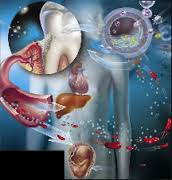 It has become clear that dental disease, cavities and gum disease, are linked to systemic diseases that at the very least can reduce the quality of your life and at the very worst can be the cause of an early death. Dental disease is relatively easy to prevent in the early stages with excellent home care routines. Daily removal of the bacterial colonies that accumulate on the teeth and at the gumline by brushing twice a day, daily flossing and rinsing with an alcohol free mouthwash after brushing are the first defense against oral disease. The second defense is regular checkups with your dentist to educate you in oral hygiene techniques and to stop/treat disease early before it progresses. So go ahead save your life today and get and appointment with a competent dental provider! 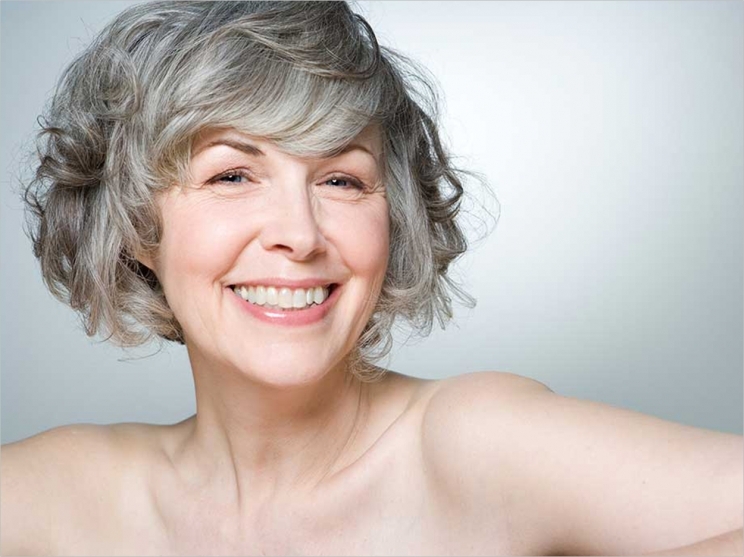 Estrogen therapy helps women in menopause reduce hot flashes, improve heart health and bone density, and maintain levels of sexual satisfaction. Plus, the same therapy that treats osteoporosis may lead to healthier teeth and gums as well, reports the North American Menopause Society (NAMS). As estrogen levels fall during menopause, women become vulnerable to numerous health issues including loss of bone mineral density, which can lead to osteoporosis. Around the same time, changes in oral health also are common as teeth and gums become more susceptible to disease, which can lead to inflammation, pain, bleeding, and loose or missing teeth. Researchers have found an association between osteoporosis treatment and severe periodontitis in postmenopausal women. They evaluated 492 postmenopausal Brazilian women between the ages of 50 and 87 years, with 113 in osteoporosis treatment and 379 not treated, to determine whether osteoporosis treatment could help increase the bone mineral density in their jaws and improve overall oral health. According to the study, the rate of occurrence of severe periodontitis was 44% lower in the postmenopausal osteoporosis treatment group than in the untreated group. The treatment comprised systemic estrogen alone or estrogen plus progestin, in addition to calcium and vitamin D supplements, for at least 6 months.